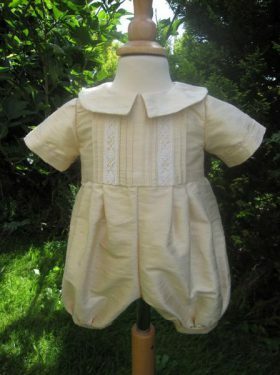 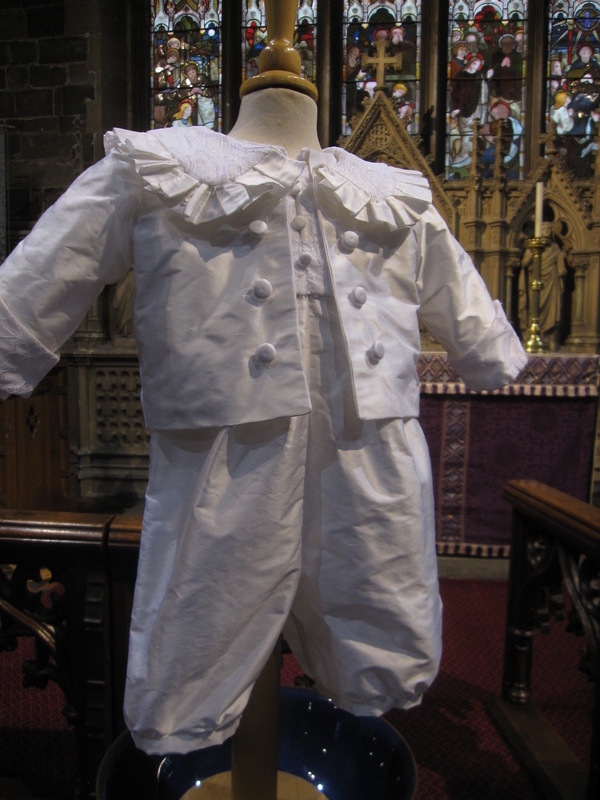 A gorgeous boy's Baptism jacket that is the perfect finish to any Christening outfit. 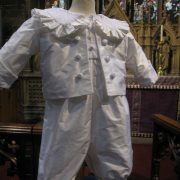 The Antonio Christening Jacket is obviously a wonderful accompaniment to the Antonio Romper but with its stylish design it could also accompany any of Little Doves' rompers and christening gowns. 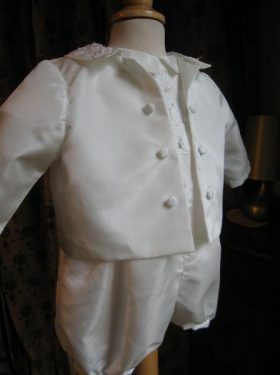 The Antonia jacket is made from 100% pure silk dupion with double breasted silk buttons. 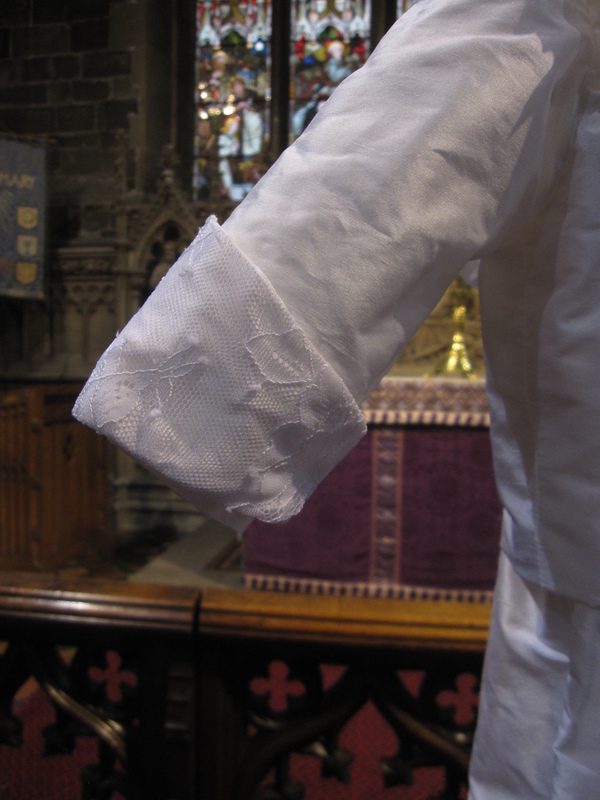 The sailor collar and sleeve cuffs are covered with the most delicious Chantilly lace to create a wonderful contrast. 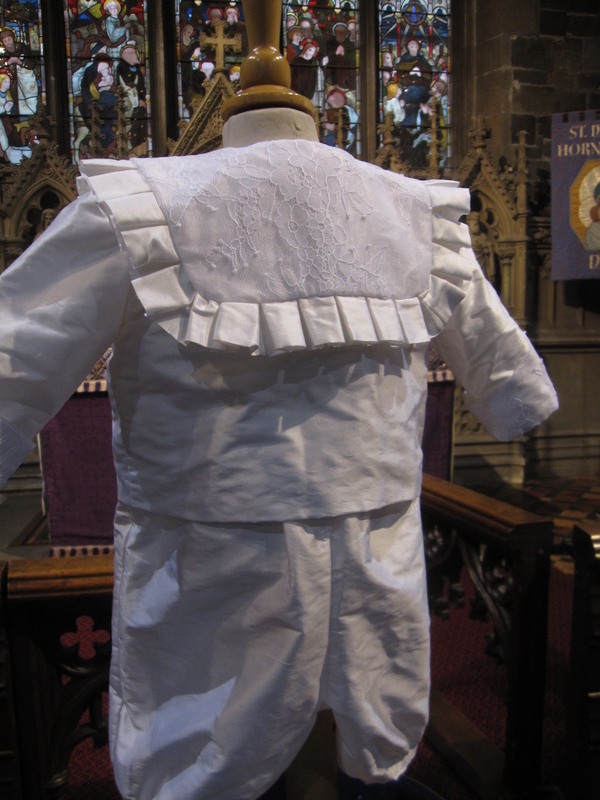 A small frill also decorates the collar. 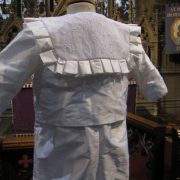 The Antonio Baptism Jacket is also available without the frill on the collar if so desired. 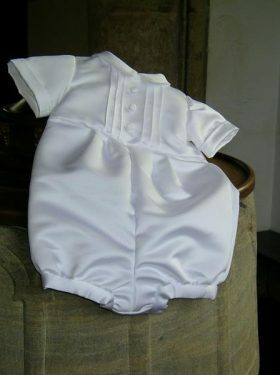 Matching booties, cap and bib are also available. 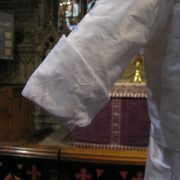 Please check out our accessories page for more details. 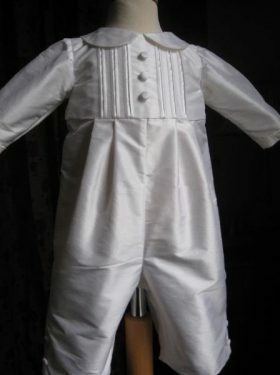 Available in either white or ivory.